People often ask me what the Community Board actually does. In some regards it acts as a conduit between the City Council and other agencies and the community. Given that Board members come from the community they are able to have a good understanding of what some of the issues and provide “local knowledge” about problems, plans or ways to improve issues for local residents. Perhaps the main role of the Board is in consultation and acting as a sounding Board for residents in dealing with their issues or even those great ideas that people have in the community. Below is my take on what the Community Board’s role should be. Click on the cartoon to see the cartoon in a viewer. 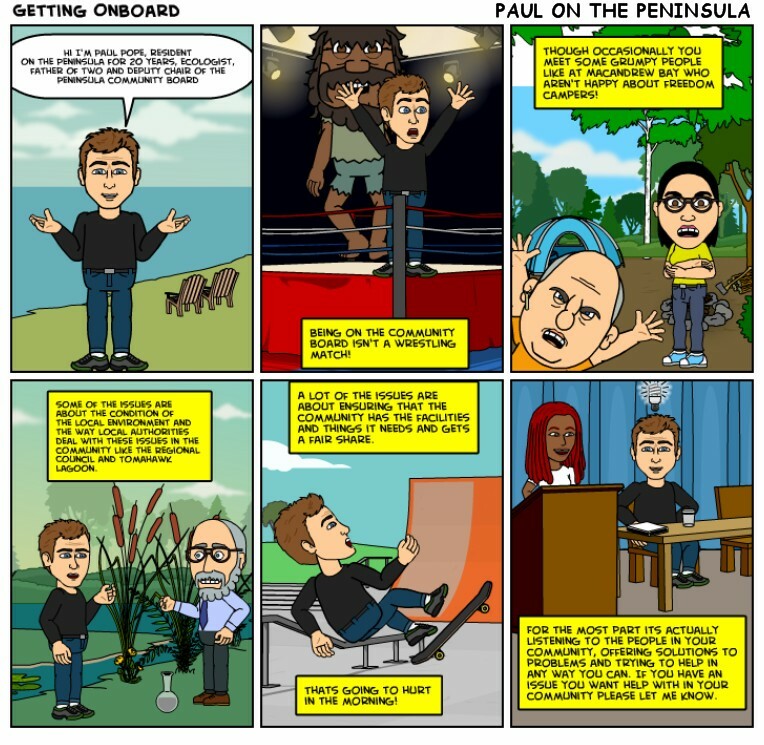 This entry was posted in Dunedin, Local Issues, Otago Harbour, Otago Peninsula, Otago Peninsula Community Board and tagged Dunedin, Dunedin City Council, local government, New Zealand, Otago Peninsula, Otago Peninsula Community Board, Paul on the Peninsula, Paul Pope, Peninsula on April 10, 2014 by Paul on the Peninsula.